The most EVM glitches have been reported from Andhra Pradesh where the voters have queued in huge numbers to cast their votes from 7 am. 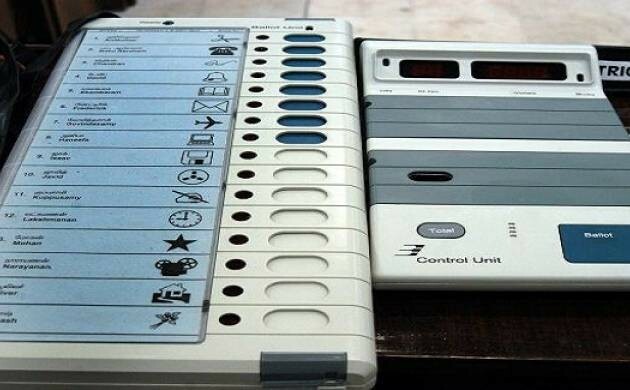 As India enters the voting session for the first phase of the Lok Sabha 2019 elections, trouble has erupted in many polling stations as electronic voting machines (EVMs) malfunctions have been reported in many places. EVM glitches have been reported from Andhra Pradesh where the voters have queued in huge numbers to cast their votes from 7 am. Voting for 175 assembly seats and 25 parliamentary seats in AP is being held currently in a single-phase election. There are a total of 3,93,45,717 registered voters in the state, including 1,94,62,339 male, 1,98,79,421 female and 3,957 transgenders. Of the total, 10.15 lakh are first-time voters in the age group 18-19, reports PTI. Chief Minister of AP and Telugu Desam Party (TDP) leader N Chandrababu Naidu has slammed the Election Commission (EC) for the malfunction of EVM's. He wrote to the EC claiming that nearly 30 per cent of the EVM's are not working properly till 10 am. In Anantapur, Guntur, Kadapa and Kurnool regions the voting did not start till 9 am as the voting machines had some troubles. Similar reports of EVM malfunctioning has been reported from different parts of the state. Chief Electoral Officer (CEO) of Andhra Pradesh Gopala Krishna Dwivedi was not able to cast his vote due to such malfunctions. He came to the Christianpeta Municipal High School in Tadepalli town of Guntur district to vote. Dwivedi said that about 50 polling stations across the state have reported EVM glitches. He also pulled up the election officials in the polling station for not taking enough precautions. He said that technical teams were on the job to replace the faulty EVM's and enable polling.